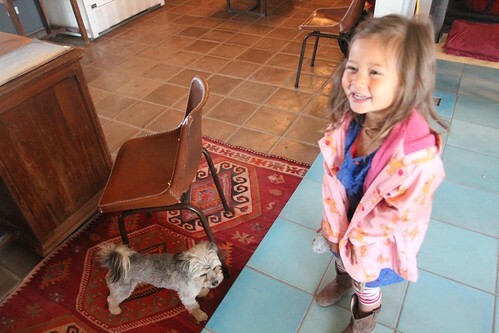 Mali Mish - Day 194: Leaving Marfa, Texas for New Mexico. 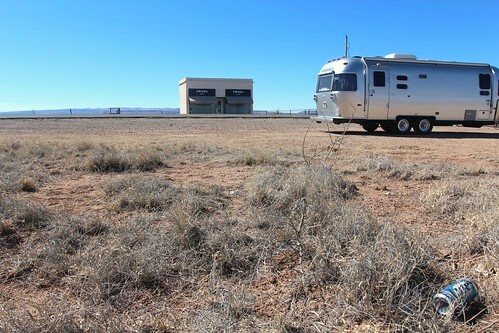 Day 194: Leaving Marfa, Texas for New Mexico. Our third day at El Cosmico is our last as we packed up our site and prepared to head back out on the road. We have a handful of places we still want to check out in town but we will do that on our way out. There are a handful of other visitors here during our stay and a couple of them brought their dogs with them. 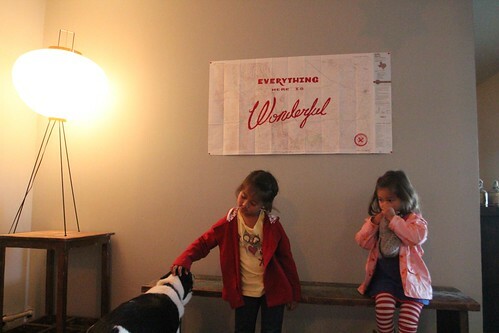 The girls really love having dogs around and reluctantly said good bye. Our main purpose for the visit was to check out El Cosmico and we really enjoyed our time here. 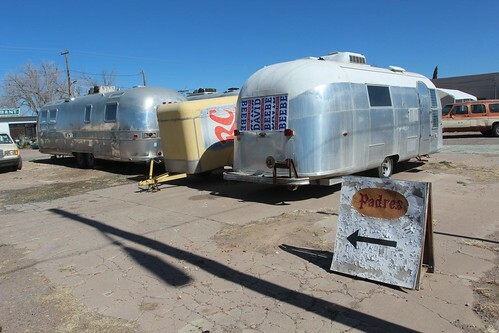 Before we head out, we were told that Padre’s is also a must stop for any Airstreamer on their way through here. 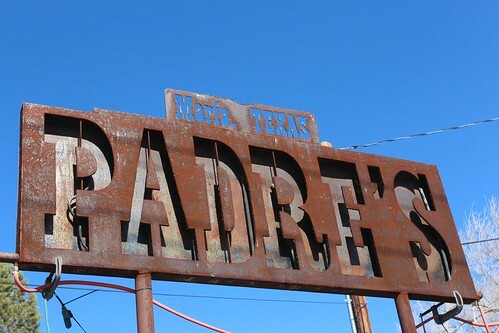 Padre’s is a Bar and Grill that features live music here in Marfa. Unfortunately it is closed on Mondays and Tuesdays so we did not get a chance to pay our patronage. The former owner, David Beebe, moved here a few years ago to get away from the Houston music scene for something different. 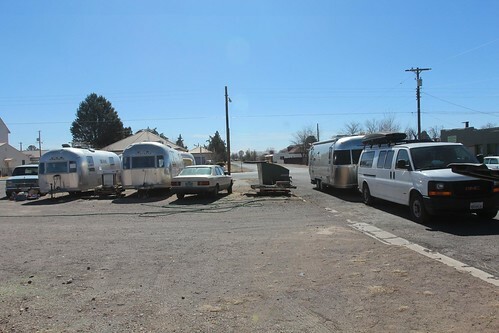 Beebe also happens to be an Airstream aficionado and in the adjacent lot, there are about half a dozen Airstreams in various stages of renovation. Hopefully next time around, we will be here during the weekend when things are more happening. Driving northwest on highway 90 towards Van Horn, Texas, all you see are just wide open deserts as far as the eye can see. Looking out the driver side window, you can see the Mexican border out in the distance. 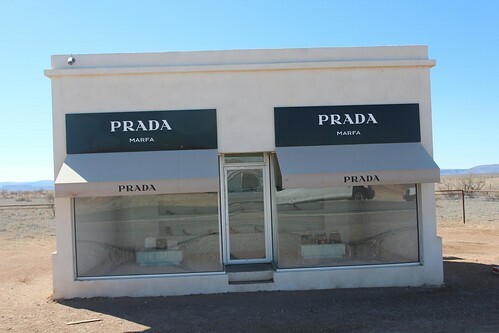 Another popular stop here is the Prada Marfa art installation. 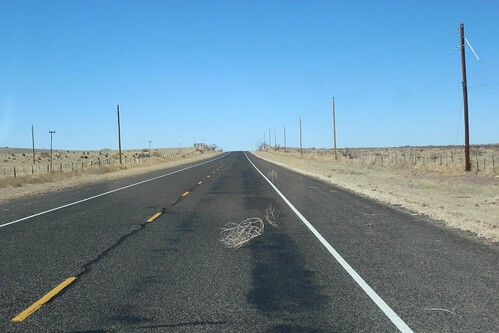 It is often described as a sightseeing location in Marfa, but in reality it is a fair distance outside of town. This art installation is from the European duo Michael Elmgreen and Ingar Dragset. Although it appears to be a Prada retail location, it is non-functional. The windows have been replaced with thick, bullet-proof glass from the various vandalism activities that have occurred here. Inside the building, authentic Prada merchandise from their 2005 collection is on display. Prada gave the artists permission to not only use their products, they also granted them license to use their identity. Originally the building was to remain untouched indefinitely so it would deteriorate along with the desert landscape. Some repairs have to be made after vandals graffitied and caused serious damage several times to the structure. 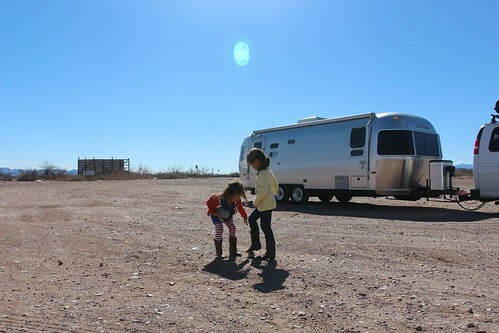 After our brief stop at Prada Marfa, we made our way to Van Horn, Texas. It is just a roadside town along I-10 for travelers to refuel and truckers to stay the night. 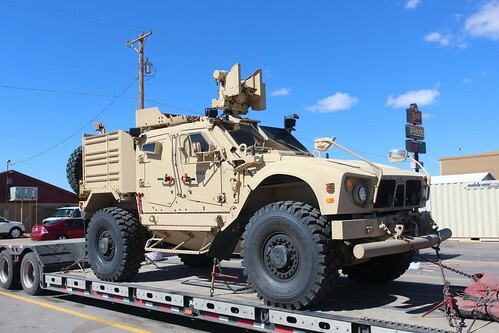 I did find a possible replacement for the van as our tow vehicle when the time comes to retire her. For now, she will continue to pull us down the road in search of the next adventure. 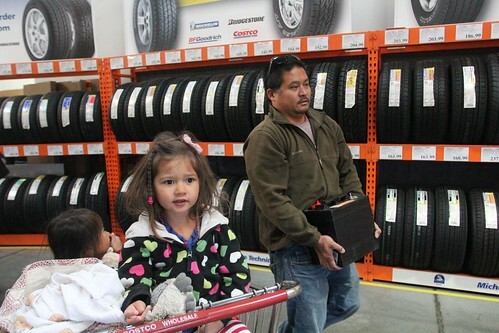 After Van Horn, we made our way west to El Paso and decided to stop to have dinner and stock up on some food and supplies at their Costco. I picked up a pair of 6-volt batteries that I have been wanting to try as an experiment to extend our boondocking capabilities. 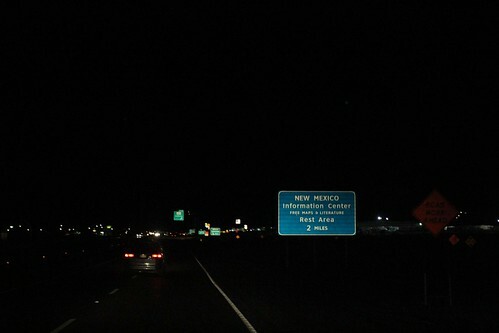 Tonight, we will continue to make our way into Las Cruces, New Mexico as we bid farewell to the great state of Texas. Tomorrow, we will make our way back to White Sands National Monument for another visit. Airstream Los Angeles’ 1st Anniversary. Day 195: White Sands National Monument.